Join in - you know you want to - and it's all for a good cause! Okay! Here it is. 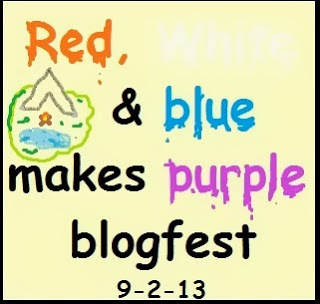 I will be hosting a blogfest/contest on September 2, 2013. Why so much time? For you to write a fabulous story of course! All the stories entered will be complied into an anthology ebook that will be available on Kindle- all proceeds to go to Operation Purple, a great organization that sends children of our military to summer camp, free of charge. And if that's not incentive enough, this is also a contest. One randomly chosen entry will win a $50.00 amazon gift card, as well as a signed copy of my book, The Newstead Project. I'm not going to be picking the winner based on the story- too hard for me to choose! Instead I'll be using a tally system. The more tallies you get, the more chances you have to win. 1. Sign up on the Linky below to enter - 1 tally with your name on it goes in a hat. Yes, a literal hat. I love this idea! Will put on my thinking cap and try to figure out something that fits your theme. Sounds like fun. I'll have to pass as I'm working hard on finishing my current MS. But I'll place the bade on my side bar and give a shout out this week for it. Friday Free-for-All is Jeff and Ella having fun!